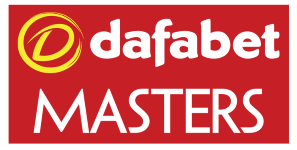 DAFABET MASTERS is rated 4.8 out of 5 by 11. Rated 4 out of 5 by heckmonwyke from Great Experience excellant Venue Tickets and imformation excellant service from SeeTickets. Layout of Venue very Good views of the play very good though seats a little cramped! Also now the capacity has been expanded the mid match interval is far to Short it needs to be at least 30 minutes, prices of food and drink reasonable for a sporting event, Transport to event good Bus service excellent. Staff and security steward, very helpful, i have already looked at booking tickets next year, with SeeTickets of course! Rated 5 out of 5 by gigi1968 from My favourite event in London I went to this event with two friends. We return next year for the same event . Rated 5 out of 5 by Flipper777 from Fantastic Free parking, wear what you want, great entertainment !!!!!! Rated 5 out of 5 by Lynnie7121 from Fantastic day out I'm a regular at the Ally Pally and it never lets me down. The parking area is well sign posted and free for this event ( but not open for other occasions such as gigs). The venue itself is beautiful. Seating for the snooker is good with great views of the table, as well as screens available for scoring. The seats are very snug and it is extremely warm, so dress accordingly (although there is a cloakroom to dump your jumpers if needs be). All in all a fantastic day out and extremely good value considering the price of other top quality sports events. Rated 5 out of 5 by Jen123456789 from Our first sports event of the year Went with my partner and had a great time. Saw 2 fab matches and had great seats.